Copywriting – Justyn Barnes Media Ltd. Someone wise once said: ‘Digging ditches is hard work, writing is just agony.’ I’m here to endure the pain, so you don’t have to. You know the audience you are aiming for, I’ll craft the copy to draw in potential customers and deepen your connection with existing ones. Meet that audience with clear, engaging and persuasive copy. You might be an established multinational company or a local startup seeking creative ideas to develop your brand identity. Perhaps you need a press release to promote an event. Whatever, I will listen to your needs, offer suggestions and ultimately deliver the right solution for you. Give me the brief and I’ll find the words. Recent clients include LEGO, Bang & Olufsen, Grundfos, DAFA, Opland and Mekoprint Electronics. At the start of 2013, a former colleague recommended me to TextMinded, a Danish translation and communications agency, to write product texts for LEGO, then the second biggest-selling toy company in the world. I was given a trial, ended up writing copy for approximately 180 new products in my first year, and have since become a senior writer on the copywriting team. I am required to adhere to strict text style guidelines and manage the entire approval process on each product line assigned to me — this entails liaising with a various marketing teams plus external IP holders including DC, Marvel and Ferrari. My approved source copy is translated into 39 languages for 50-plus major e-tailers, targeting prospective LEGO customers worldwide and helping to generate millions of pounds worth of sales each year. I am also often called upon to edit copy and to work on ad-hoc copywriting projects for LEGO as they arise. 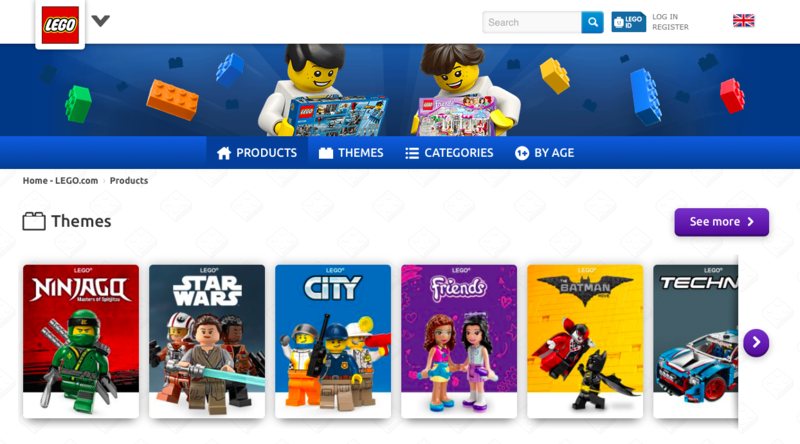 For example, in 2015 I worked as part of a team to create hundreds of new meta titles and descriptions designed to drive even more click-throughs to lego.com and legoshop.com. And in 2017, we implemented a major SEO project, integrating keywords into retail product texts to improve searchability via Google and Amazon. I began my career at a startup publishing firm set up to produce a magazine for one of the biggest football clubs in the world, Manchester United. Aside from interviewing Beckham and co., I soon learnt to write words that sell: pithy cover lines to entice potential readers; headlines to sell an interview; witty captions to sum up an image. We didn’t employ advertising or PR firms, so I also wrote press releases, copy for advertisements, sales catalogues, brochures and poster campaigns. My publishing work since has also involved copywriting in association with multinational brands, including Ferrari, Mubadala (Abu Dhabi’s wealth investment company), The Saatchi Gallery, Manchester United FC, Tottenham Hotspur FC, Celtic FC, Nike and Major League Baseball. These assignments have encompassed writing and editing copy for websites, apps, marketing brochures, advertisements, advertorials, email shots and press releases. My wealth of experience working on such projects has given me an acute understanding of how to deliver copy that represents a brand and sells products. My copywriting for Danish electronics manufacturers, Bang & Olufsen, has spanned a snappy headline/strapline for Audi showroom displays across America to a press release and longer-form customer-focused online copy to promote their new BMW in-car sound system. As a former magazine editor who once received piles of press releases myself, I quickly identified that previous B&O press releases were rather long and lacked both an eye-catching headline and key USP detail in the introductory sentences, so I was able to rectify that. Another challenge was getting across complex technical aspects concisely and in appropriate language for the English-speaking market.